Area rugs are a fantastic way to improve the appearance of your room AND to protect your hardwood flooring! You can find area rugs of all sizes and colors that can perfectly complement the look of your floors. These are especially helpful for dining rooms and other areas of your home where chairs are frequently moved around. As a bonus, an area rug will reduce the amount of noise in your room! One of the best things that you can do to avoid hardwood floor scratches is to remove your shoes before you enter the room. While this may initially sound inconvenient, it will quickly become a normal routine that is incredibly beneficial for your floor! This is because dirty or wet shoes can cause the floors to warp and your sneakers can pick up grit that scratches the floor. High heeled shoes are especially dangerous as they can ding and dent your floor! It can be helpful to add a shoe bin by the door to make it convenient for you and your guests. Another tip to help prevent scratches on your new hardwood flooring is to add felt pads to your furniture, especially on chairs that move frequently. You may also want to add these pads to your couch since it may move slightly when you sit down to relax. Felt pads are inexpensive and can do wonders for your floors, so consider buying some extra pads since they do tend to eventually fall off on those chairs that are moved the most. There is no doubt that water, snow and salt can cause major damage to your hardwood floors, so you should place entry mats both inside and outside of the door. These mats will be your first line of defense against dirt, gravel and other elements that can scratch up your floor. The entry mats will not only help to keep your floors cleaner, but will help to remind you to remove your shoes when entering the room! When adding furniture to your room with newly installed hardwood flooring, avoid any chairs with rollers. These chairs can really scratch up your floors as dirt and grit often gets caught in them. If you have your heart set on adding chairs with rollers, make sure to get mats for under these areas to avoid damage to your floors. 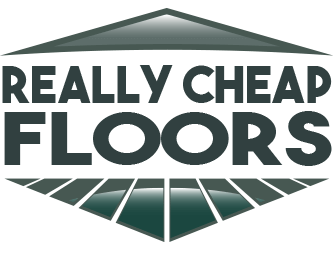 Now that you are familiar with how to prevent scratches on your new hardwood flooring, check out all of our flooring products from ReallyCheapFloors.com to find the perfect hardwood floor for your home! We look forward to doing business with you!